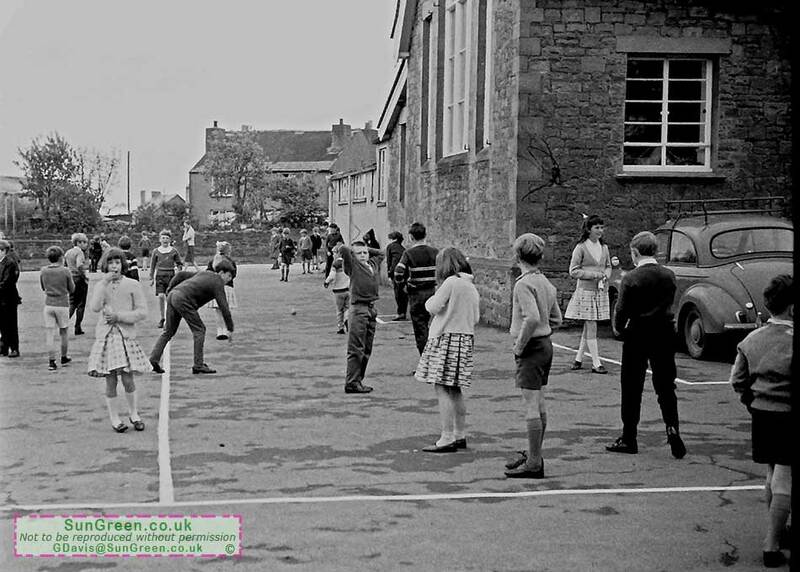 Playtime at Bream C of E School in the 1960s. Playtime at Bream Church of England Junior School. Bob Smith added: "... I was at Bream School a year later, having moved over from the Infants on the other side of the road. The end wall of the school on the right was a bit of a 'right of passage'. More skilful ( and usually older ) lads than me would clamber up a corner with their toes on the sloping stone ledge that stuck out a few inches. By grasping the tiny crevices in the course of stone work with their fingers they'd endeavour to make their way across the ledge to the other corner . Despite trying many times and right up until I left in 1972, I never managed it ! :( ".